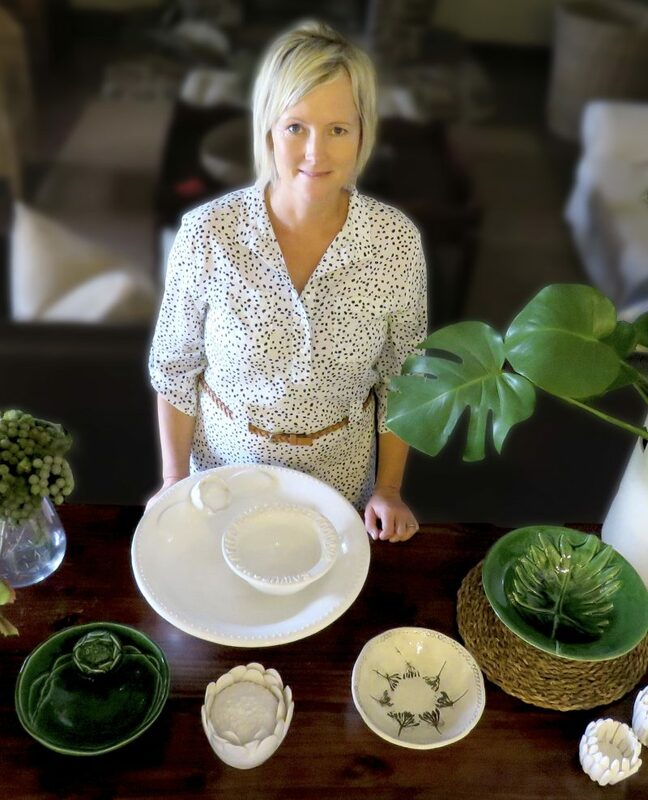 Meet Rayne Hampson, a farmers wife, mum of 3 and a super talented ceramic artist. 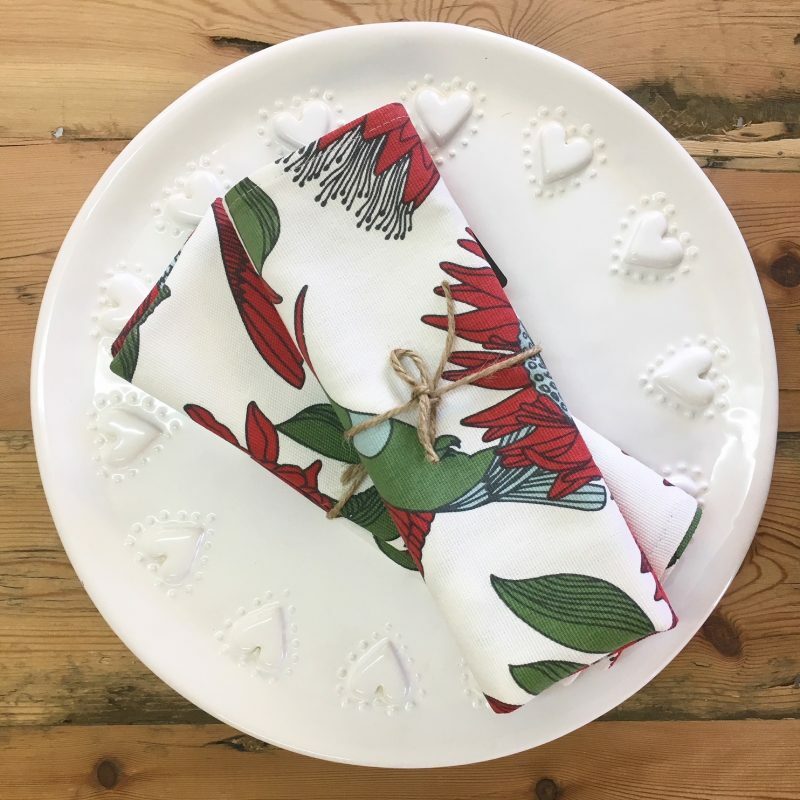 We have been stocking Rayne’s ceramics for two years and always have waiting lists for her extra large platters with cut out details! 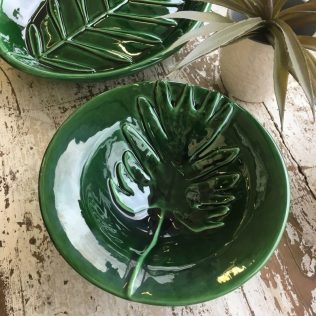 Rayne’s ceramics range from chunky serve ware, to pretty jugs, soap dishes and bowls. 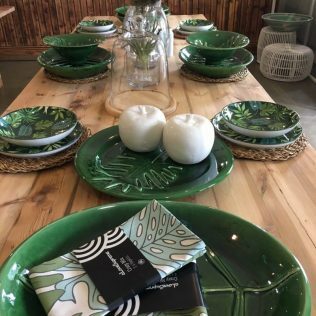 Her newest addition to the range is this bottle green glaze, and you have been loving them in store! We love sharing a little more about our suppliers with you. Next time you are in store you’ll know the person behind these products. We asked Rayne to answer a few questions about her business, her hopes and dreams for her products and even her top beverage! Grab a cuppa and have a read! 1// Tell us a little about yourself. I am Rayne, a farm girl who loves the outdoors. I am married and have 3 awesome children who currently keep me very busy on the family front! But I love the buzz they bring to our home! I love all things arty and when I’m not in my studio, I love to paint and sketch, or be out in my garden creating with plants! 2// How did your business begin? When / where / how did it all start? I always loved art and anything creative, and was introduced to ceramics along the way. I fell in love with clay and what you could do with it! I was determined to be a stay-at-home-mum with my young family and living on a farm afforded me the opportunity to work from home. 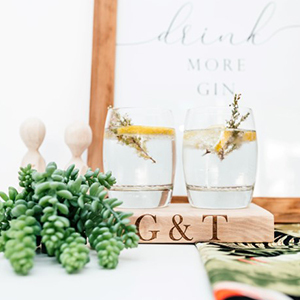 My small studio began in a refurbished outbuilding and I began to create wedding gifts and birthday presents for my friends which slowly grew to selling at markets and now supplying retail shops. 5// What are your hopes and dreams for your products? I would love my ceramic art to become a brand people would associate with a quality handmade product. An item that would evoke a sense of sentiment or nostalgia for a place visited or a moment shared. 6// What’s the most valuable lesson you’ve learnt so far in your business journey? To keep your values at the forefront of your business and to believe in yourself all the way. Don’t be scared to try something new because if you are passionate about it you will be proud to share it. 7// About you! What’s your – Top Song? Top Food? Top beverage? Top Place? Top movie? Top Food – Roast beef and Yorkshire pudding! Top Beverage – I love a glass of red wine at the end of the day, especially on my verandah overlooking my protea garden! Top Place – Out in the bushveld, The Chobe River in Botswana is top of my list of favourite places. 8// And lastly, imagine you are heading out for dinner with a bunch of creative geniuses – who would be sitting around the table with you? 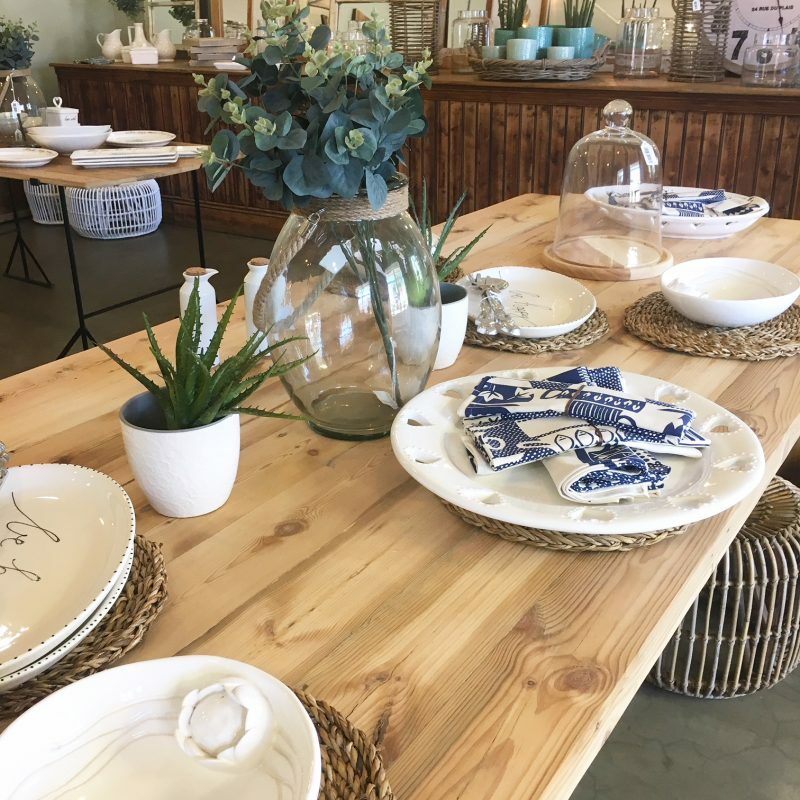 I would choose some of our South African designers… Heather Moore from Skinny la Minx, Jan Blok landscape artist, Kirsten Goss jewellery designer. Thank you Rayne… we love this little peek behind the scenes at Rayne Creamics.